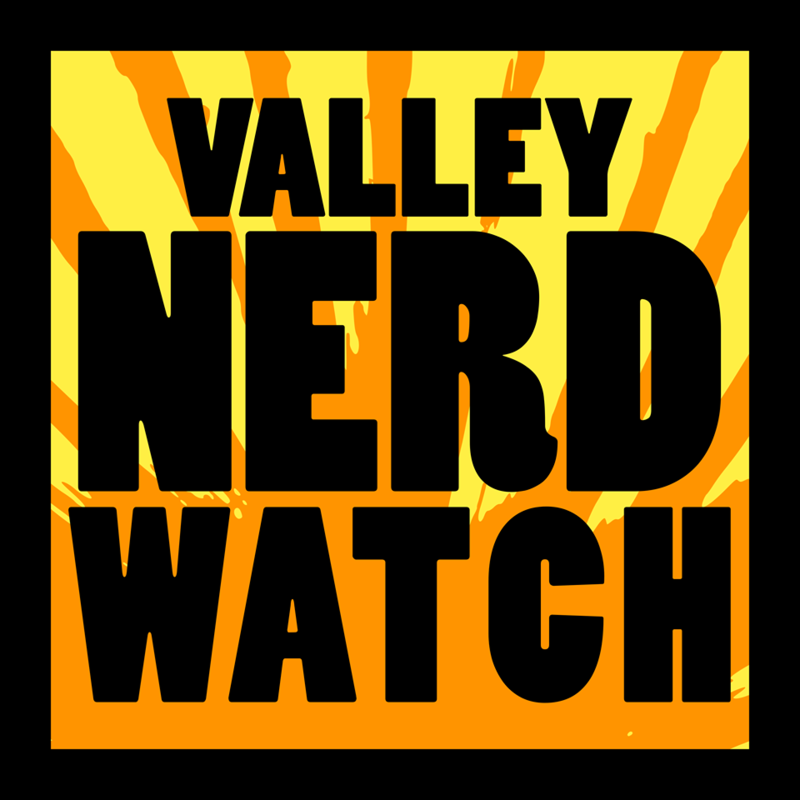 The Valley Nerd Watch Christmas Magic Special! The special magic is that this is coming out on Christmas Day! That’s dedication, you’re welcome. We’re hanging out with our beloved mom, we hope you’re having a decent day with whatever person place or thing delights you! Not strictly because it’s a holiday, but because it’s a Sunday and just relaxing and feeling should really be a regular weekly thing for everyone. There’s a Steam sale on! We recommend you purchase a whole ton of Choice of Games games because they’re the only people currently putting things on Steam that we’re currently aware of who employ a Local Creator! Let us know if there’s other stuff on Steam we should talk about because boy howdy do not underestimate how much we want to talk about video games, it is a shocking display of willpower that this is not just a videogame blog. Anyway! Happy holidays everyone, this is a bit of a light one on account of these holidays! Oh they’ll try to stop you. They’ll try to keep you from making that incessant sound. They’re going to come after you with everything they have to prevent the sonic assault that has already ruptured their eardrums from destroying all they hold dear. But then, my friend… then you’ll point to the CROWN. As per the listing “Join Kevin Barry for this special storytime that follows one family through the course of a day as they march through meadows like ants, dive to the depths like seals, play hide and seek like fireflies, and chatter like raccoons.” Sounds delightful! As per the listing “The town of Hamelin has a rat problem, and there’s only one person who can help! CactusHead Puppets brings the story of The Pied Piper to life in this comedic, updated adaptation of the traditional folktale. Not only does the town find a musical solution to pest control, but the kids of Hamelin also teach the grownups a lesson about generosity. In the end, the townspeople all come together in celebration. Join puppeteers John and Megan Regan as they present this classic tale, told with multiple puppetry styles, and plenty of dancing rats!” Sounds like a fable that was terrifying in the original German and is now a lot more heartwarming! Same as the other listing, but in this one human sized rats play all the characters. Same as the other listing, but in this one the entire audience will be rats except for you. Same as the other listing, but in this one man was the real rat all along. Families will get to experience a storytime with Megan Dowd Lambert, followed by a signing of copies of her books, including “Reading Picture Books with Children”! Stories and songs from a renowned storyteller and musician! They’ll light up a chilly night for all ages. It’s offered as a part of First Night Northampton 2017, and admittance requires a button! A family jam with a nice person who plays the acoustic guitar and sings great children’s music! It’s offered as a part of First Night Northampton 2017, and admittance requires a button! Play some boardgames with friends! It’s a fun time and boardgames are good to have fun times with when you’ve got friends around. LEGO: the best toy. It does try to hurt you, though, when you step on it. But it’s amazing, and everyone loves it. Little blocks you can turn into anything and everything! Do it with friends and it’s twice as fun! For children 5 and up! Make winter-themed crafts with coooool folks! Enjoy tasty treats while you do so. For ages 6-12! Watch an animated classic and enjoy free popcorn! Suitable for children of all ages! Illumination, the makers of the weirdly successful Despicable Me films, made one about cute pets that stars like 20 comedians we think are pretty good. We didn’t really hear much about it… which doesn’t mean it’s awful but like, yeah. Hm. Well hey look it’s basically guaranteed that anyone young enough will like literally any movie you show them, so why not take a chance to hang out at the library with your kids and watch something that’s probably okay? It’s free! See that wizardy kiddo in one of his best adventures on the silver screen! Harry Potter is beloved by all, young and old, and this is the one where he stages a big old prison break and confronts the frankly horrifying correctional system of the wizarding world. Seriously, they force you to stay in a cell where monsters eat your hope, that’s messed up! This story was like 4 pages long, right? That’s so hard to stretch into a whole film! It’s probably beautiful to look at, at a minimum. Not like Disney is working with anything but a literal mountain of money, so the effects have to be great. We think we heard alright stuff about this one. Also again, free movie that you can take a kid to, hard to argue with if you’ve got a kid to entertain. Play Star Wars because you’re excited about Star Wars! The RPG will allow you to explore the nooks and crannys of the universe, acting out your own personal Rogue One! Play one of the classic RPGs at Modern Myths! New players are always welcome, and there’s a friendly crowd there every week!